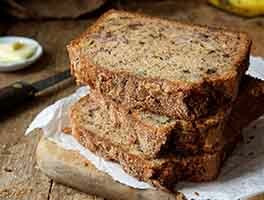 Much like Boston brown bread, this loaf is sweetened with molasses, studded with currants, and features the multi-grain combination of whole wheat, cornmeal, and teff flour. 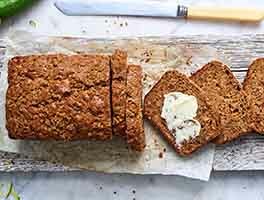 Unlike traditional brown bread it's baked rather than steamed, for crusty edges that will hold up to toasted or butter-fried slices. 1 hrs 10 mins. to 1 hrs 15 mins. Preheat the oven to 325°F. Lightly grease an 8 1/2" x 4 1/2" loaf pan. In a medium-size mixing bowl, whisk together the teff and white whole wheat flours, cornmeal, baking soda, salt, and currants. In a separate bowl or measuring cup, mix together the buttermilk and molasses until smooth. Add the wet ingredients to the dry ingredients and stir just until evenly moistened. Pour the batter into the prepared pan, and cover it with lightly-greased aluminum foil, fastening the foil tight to the edges of the pan (so the bread will steam a bit), but leaving about 1/4" to 1/2" of room over the pan so the bread can expand without hitting the foil. Bake the bread for 1 hour, then remove the foil (the middle may be slightly sunken; that's OK), and bake for an additional 10 minutes. Remove the bread from the oven, and after 5 minutes turn it out of the pan onto a rack to cool completely. 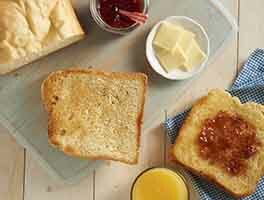 Slice the cooled bread and serve, or wrap the loaf in plastic and store at room temperature for 2 to 3 days. Freeze for longer storage. 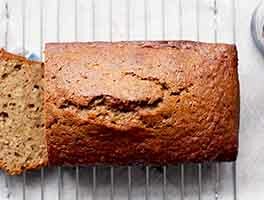 I tried this recipe on a weekday night, as I was looking through my quick breads recipes and was kind of intrigued by it. I didn't have teff flour, so I substituted with what I had, barley flour. I did cut molasses in half, added only 1/4, as I find most of the original recipes too sweet. I did add 1/4 more of buttermilk, to keep wet to dry ingredients proportions close to the original recipe. I really enjoy the final result, moist and tasty bread, but I think next time I will add even less molasses, as the currants give a lot of sweetness already. 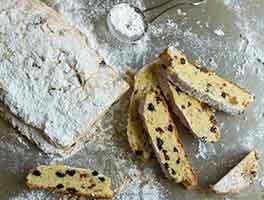 Or I will use half of the dried black currants and half of the raisins-currants, to have tart and sweet combination. Definitely will try with teff flour, but just wanted to let others know that this recipe allows small tweaks and adjustments to baker's taste and still tastes great and have nice texture. 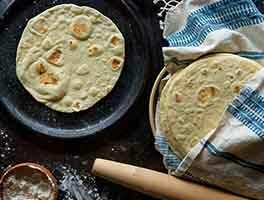 Thank you KAF team for another simple but great recipe! This is already 2/3 of the way to gluten-free; can I sub your GF whole grains flour for the whole wheat flour in the recipe? And would I add the extra egg and the xantham gum that would typically add when making a GF version? This bread was very good. I used buckwheat flour. Nice flavor. Had to cook longer though about 90 mins. Moist & not to sweet!